Show a normal deck - then change all the cards to the previously selected card. Seal a card in an envelope - then have spectator pick the card in the envelope. Spectator stabs the deck - the selected card is where the person inserts the blade. The selected card appears in your pocket or anywhere else. The card that was selected appears anyplace where the spectator cuts into the deck. This is a revision of the Al Stevenson book with over 70 new entries and modern effects. 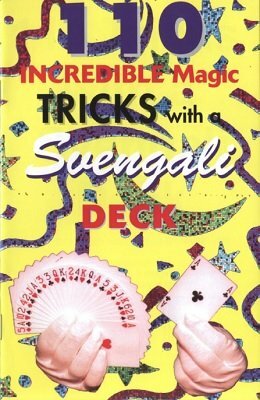 New moves by Magic Ian never seen with this deck in an easy to read format. Selected card is found to rise to the top of the deck, new "any card" selection can be found using a new locator technique, and much more. 1st edition 1998, 32 pages; 1st digital edition 2016, 30 pages. For $2, if you can get even 1 good trick, you are in gain. But I got 10. So for me this is a jackpot!